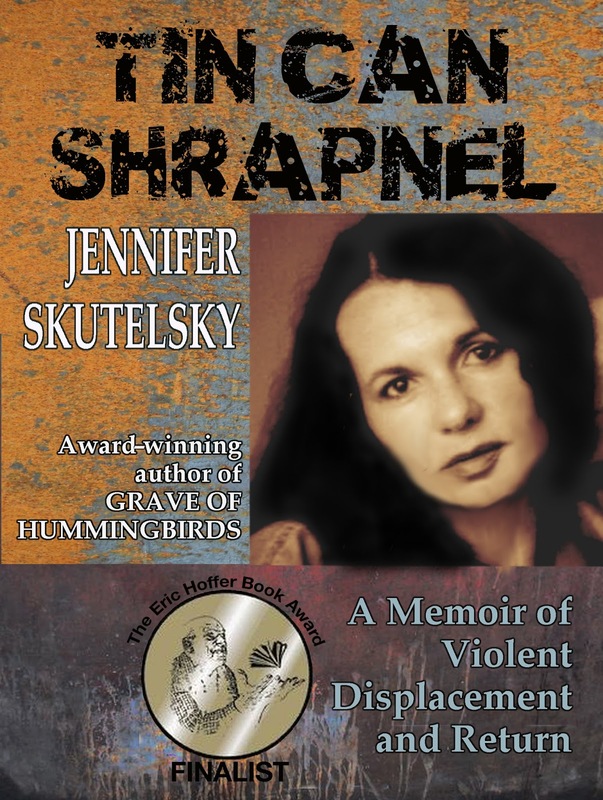 Please welcome Jennifer Skutelsky today. 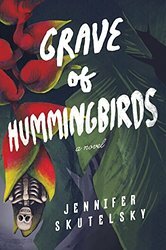 Jennifer is the award-winning author of Tin Can Shrapnel and Grave of Hummingbirds. 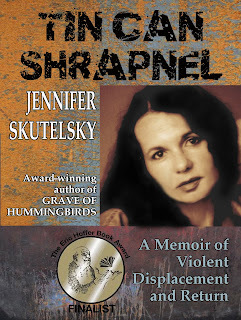 A Kindle Scout winner in February, 2015, Grave of Hummingbirds will be launched by Amazon’s Little A in January, 2016. You have an all-expense-paid long weekend to spend with three guests. The Starship Enterprise has agreed to beam you to the place of your choosing, so travel time is not a consideration. Who are your guests (and why) and where are you staying (and why)? I’d decline the time travel, because I think there’s no better time to be alive than now. A journey into the past is littered with sinkholes: World War II, World War I, various revolutions and dictatorships, the Dark Ages, all interspersed with fights for votes, battles for human and civil rights, and the odd party. When I go all the way back, I wonder what it must have felt like to get clubbed over the head and dragged to the back of a cave. So even with the challenges we currently face, I’d opt for a trip to the Tuscan hills, or a chateau somewhere, or to a vineyard in Franschhoek, and spend the weekend feasting with Michael Ondaatje, Arundhati Roy, and Pablo Neruda. Why? Because wine, wit, poetry, and food. I love the purr of a heater, and the light, snuffly snore of my Pekingese, but that’s about it. Noise makes me crazy, and music demands attention, so I prefer to work somewhere quiet. There are sounds that help to ground me, like a clock, or the hum of a passing car, but otherwise I’m too easily distracted. I’m a pantser, trying to become more of a plotter. I’d like to be accomplished at both. Plotting provides strategy and direction, while going where the story takes me allows it to breathe and grow in unexpected ways. There’s some subject matter I have difficulty with: excessive cruelty, especially to animals, and when I sense it coming (as it often does in Horror), I avoid exposing myself to images that will never leave me. It’s weird, really, because I enjoy reading Horror, and my own novel addresses issues that I tend to shy away from. I struggle with overly compromised story telling, and used to have more patience with difficult prose and poetry. If a book is in dire need of editing, I have trouble getting to the end. I have been reading reviews, and I’m going to stop, or at least limit the time I spend anguishing about rankings and ratings. 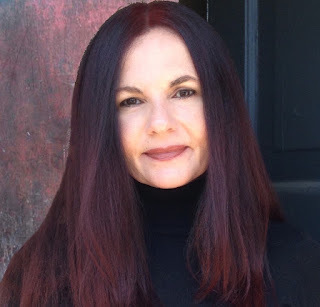 It’s impossible to keep everyone happy, and a writer shouldn’t try. I write the novels I need to, and worrying about the market’s response is a sure way to paralyze creativity. Some of the best books are flawed and controversial. That said, intelligent and thoughtful reviews help us grow as writers, so dismissing reviews entirely isn’t the answer either. I tend to cut quite a bit, but the whole process of editing means that expansion needs to happen too. I try to pare down sentences until each word carries weight—sometimes that means an editor will say, “I’m not sure what you mean here,” and I’ll have to add words for clarity. Inspiration for Grave of Hummingbirds came from a photograph I saw in a magazine while sitting in a doctor’s office, of an Andean condor tied to the back of a bull. The image has always stayed with me and still springs to mind at odd moments. I knew it wasn’t going to let me go until I explored its significance, and years of research followed, with the characters, setting, and plot developing around it. A trend seems to be taking hold: placing a comma behind a coordinating conjunction in a clause, as in and, the bird flew away. Maybe it stems from wanting to reflect the vocal pause in speech, but it drives me nuts when I see it on a page. Do the work. No matter what—write. Silence the voices that discourage or disable your creative spirit, including your own, and tell your stories. Oh, and read…whatever piques your curiosity. In the end, it’s curiosity that makes us writers. A comma behind the coordinating conjunction can't be a trend. I spent two months studying commas, and I believe an author should know how to use one. Everyone makes mistakes. The occasional error is okay, but I wouldn't want to see this consistently. Now that you've mentioned it, I'm probably going to notice it everywhere. Very interesting interview.